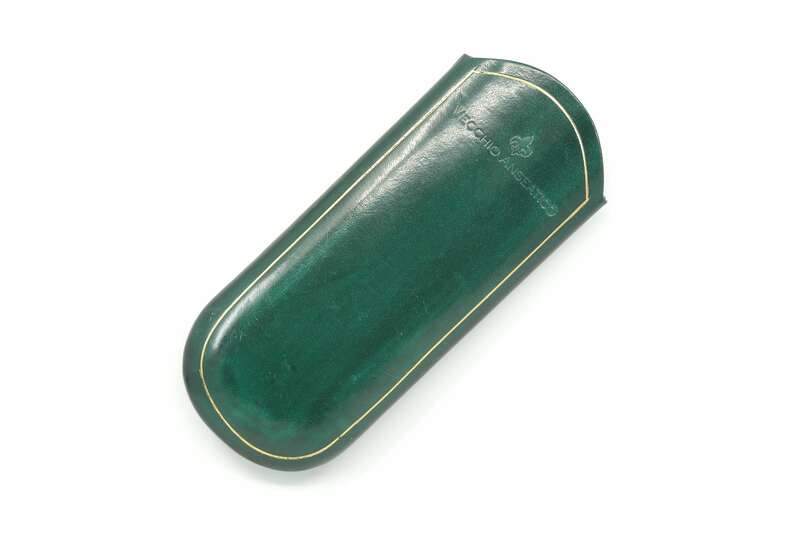 This leather spectacle case is made from dark green calf skin by Scuola del Cuoio in Florence. The leather is sourced regionally, vegetable tanned and hand painted to obtain a beautiful antique finish. The 22kt gold decoration is also applied by hand and emphasizes the classic style. 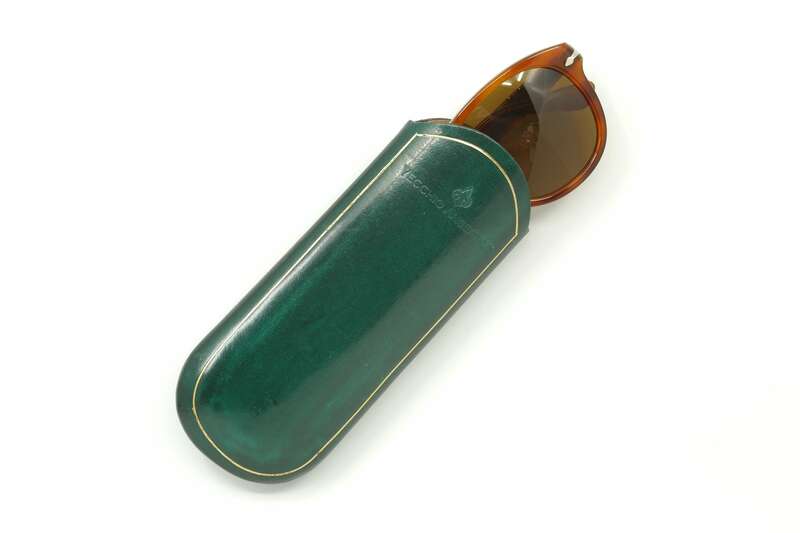 Inside there’s space for your reading glasses or a pair of shades. It is made from two separate pieces of leather that are soaked in water for several days and then shaped into their final form. 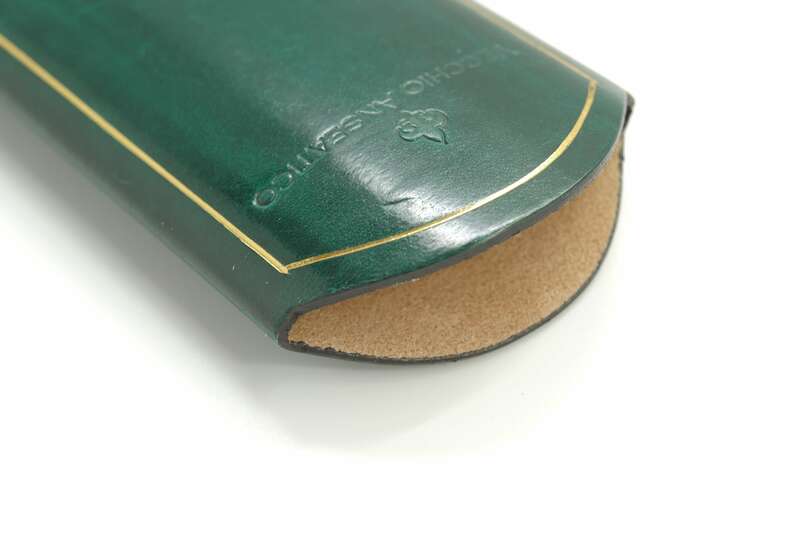 This way, the leather becomes very durable and sustains its shape.